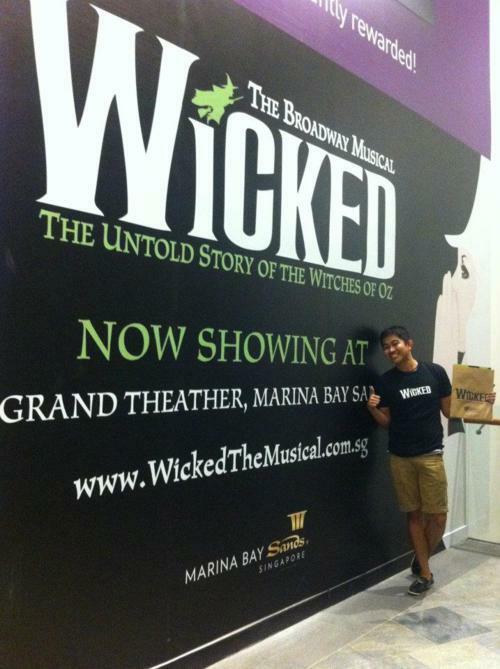 When I visited Singapore last July and watched The Lion King, the moment I saw the advertisement that Marina Bay Sands will feature Wicked on their next show (Dec-Feb), I told myself that I have to watch it…and I did…Last January 9, 2012, I was able to catch the play along with my college friends who are working in SG. Amazing is an understatement, the whole time I was watching it I really felt “kilig” (goosies all over my body). 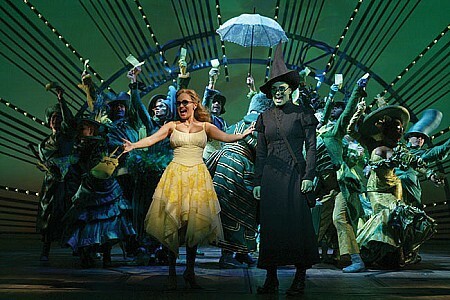 Glinda was played by Suzie Mathers and Elphaba by Zoe Jarrett. Both casts didn’t hold back in portraying their roles, it was like watching a tennis match and you are rooting for both characters. 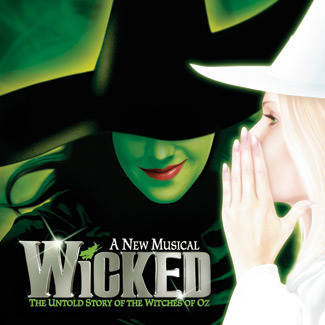 I was able to get hold of the soundtrack before I even watched the play (imagine how I monologued seating down in the theater) and from the songs, I really was a Glinda fan, and never imagined that I will like Elphaba, maybe because my reference was how she was portrayed in the Wizard of Oz. But while the play progressed, you will really like her character. She’s like a superhero but became a villain by chance. I love how Wicked twists and reconstructs what we knew about Oz, it’s a fresh take and total redemption for the most unloved character (of all time). 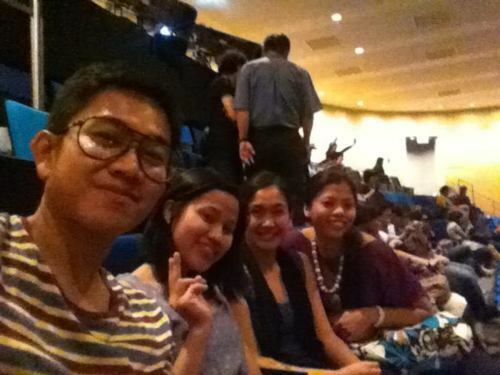 To sum up, we really enjoyed it, I saw my friends cried during the song “For Good” and cheered during “Defying Gravity”. I’ve been praying in faith that I will watch it, I claimed already as early as September –and I thank God for granting my praying. 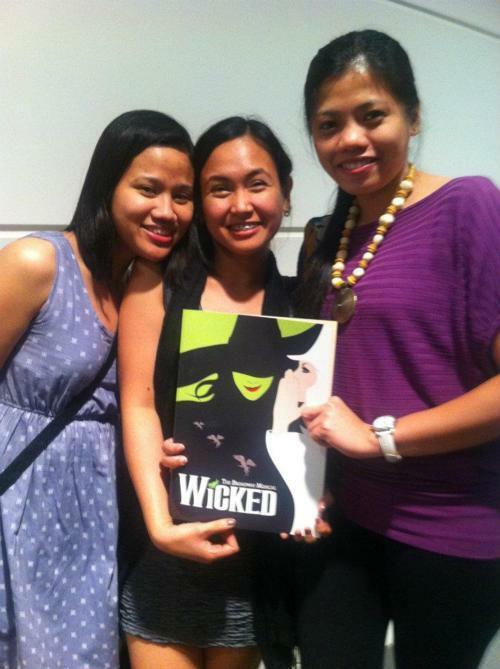 It was indeed a VERY WICKED moment!….